This weekend, Susan and I were visiting my father in San Diego. 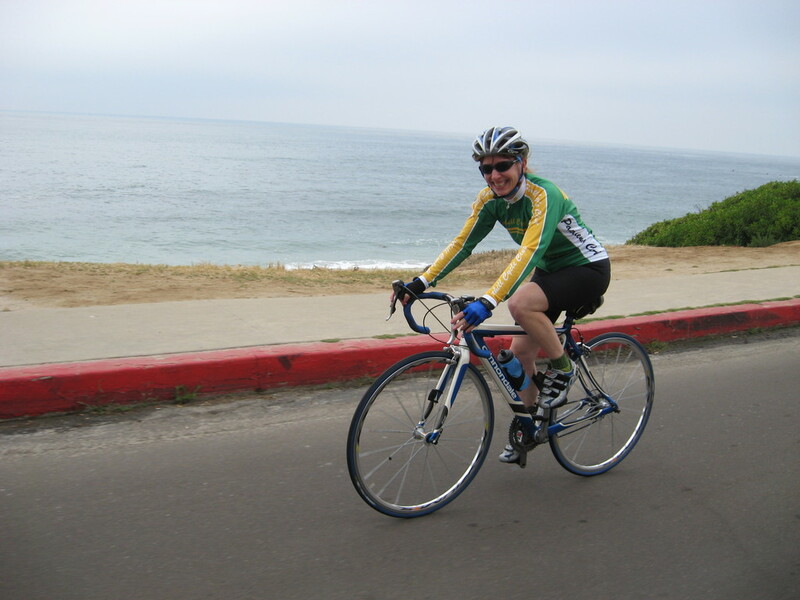 We brought our bikes along, and on Saturday morning when he was playing bridge, we went for a ride down to Point Loma. 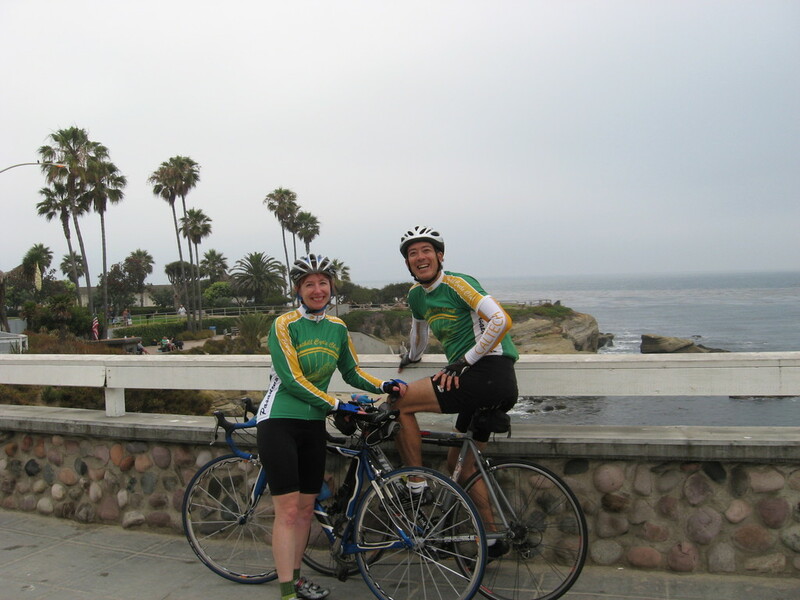 I did this ride last year when I was there when he had knee replacement surgery. 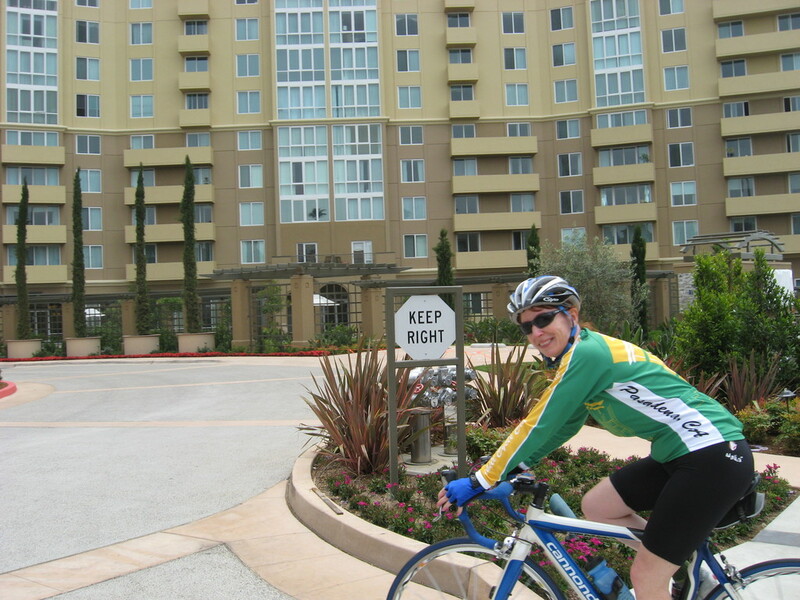 It was a cool and overcast morning, which was nice for bike riding. 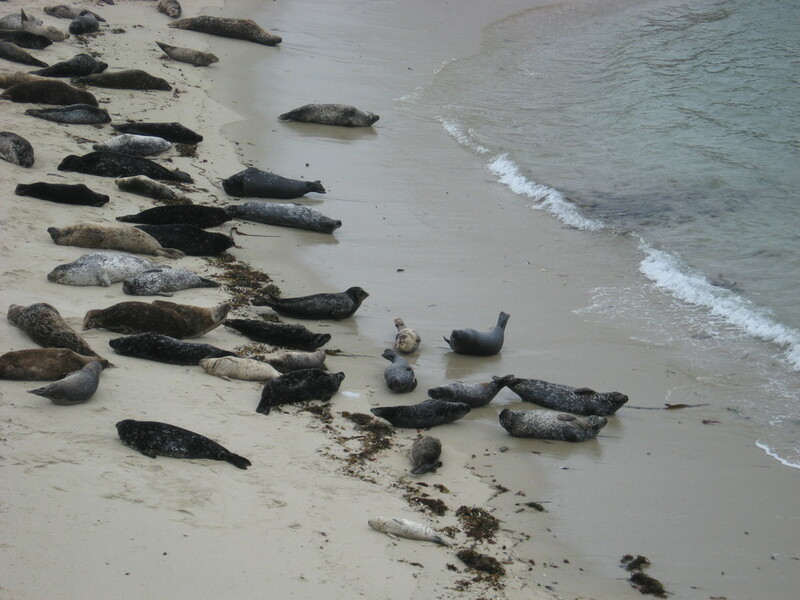 We headed over to La Jolla, and then took the coast route there, stopping at the cove to see the seals on the beach. 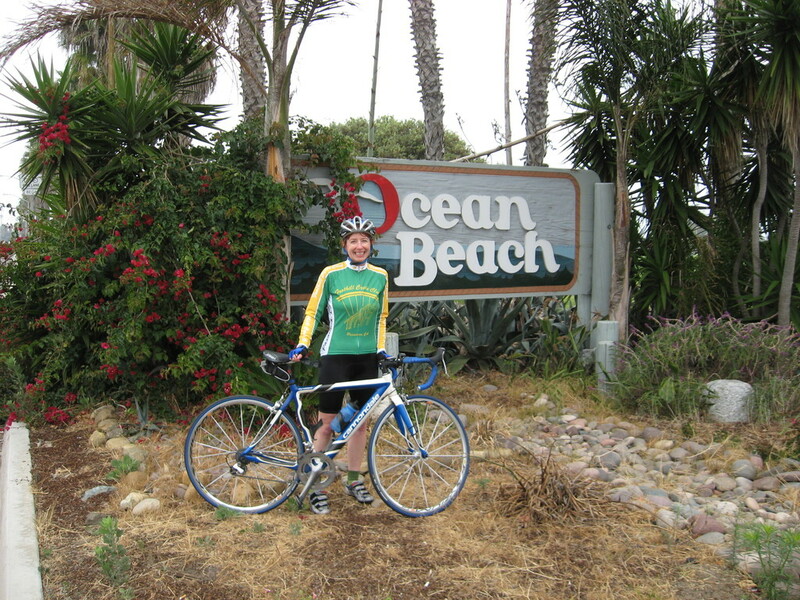 Then we rode through Pacific Beach and Mission Beach to Mission Bay. 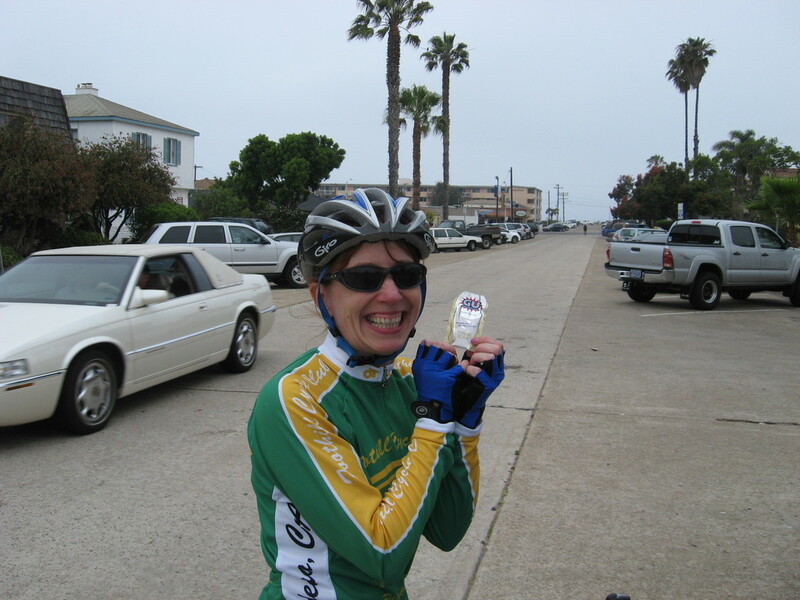 Then through Ocean Beach to get to the road to Point Loma. At the entrance to Cabrillo National Monument, we paid our $3 to get in and took a moment to grouse about Ronald Reagan and the Republican Party for instituting fees for that area. Then we rode down the hill to the tide pools. 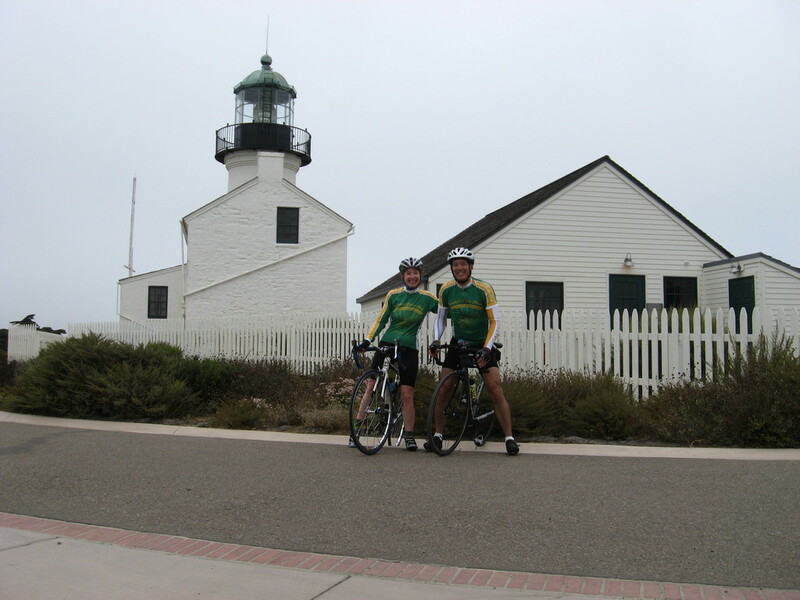 After looking at the ocean and the cliffs there, we rode back up the hill to the lighthouse. Then we left and headed back down to Mission Bay. 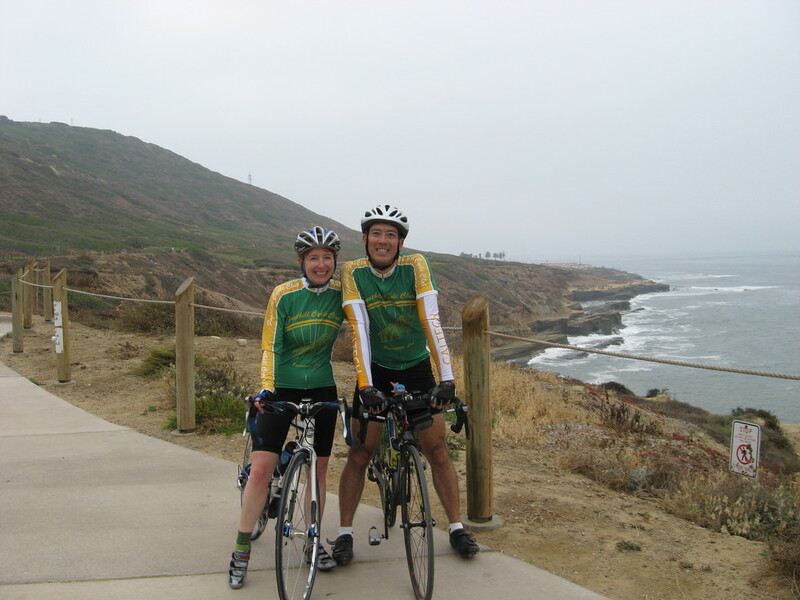 We took the road around the east side of the bay to the Rose Canyon bike path. 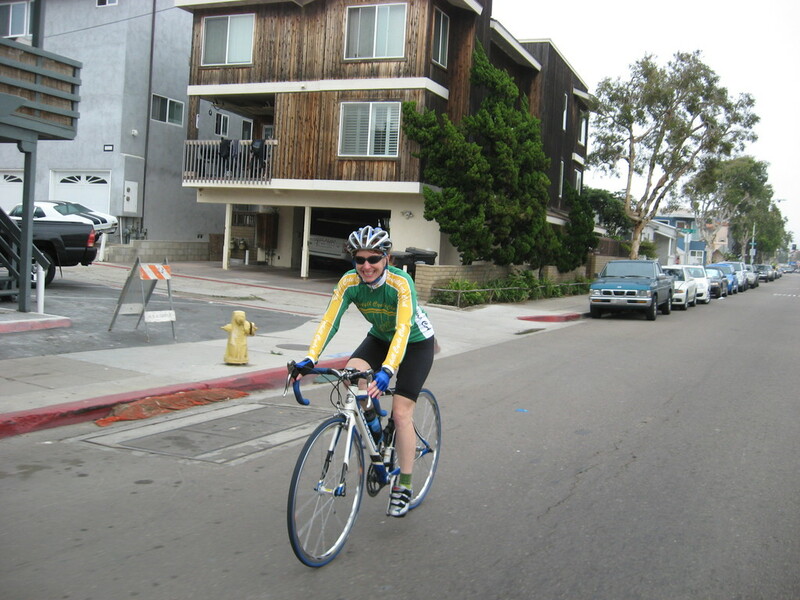 Then back up into La Jolla Colony and back to my father’s place. I guess it would be better if our taxes paid for that entry fee too. Something I’m paying for, for you to enjoy. Yup. Spoken like a true believer. Who has no concept that perhaps there are things that my taxes pay for that *you* use. We’re all in this together.